"My mission is to earn my client's trust through open and clear communication, objective advice, hard work and a genuine concern for my client's overall financial well-being." LPL Financial Advisor Michael J. Henschel is committed to helping you pursue your financial objectives. As your goals change over time, Michael will actively monitor your investments and work closely with you to formulate an individualized roadmap to help you invest, diversify your holdings and pursue your plans for the future. 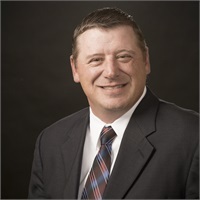 Serving Stevens Point, Wautoma and Oshkosh, Michael has 20 years of experience, including 13 years with Old National Investments. He received a bachelor's degree in Business Administration from the University of Wisconsin-Oshkosh. Michael is actively involved in the community, including as a board member of two nonprofit corporations and as co-organizer of a charity golf outing. He also volunteers as a coach with area youth baseball and softball programs. He is an avid outdoorsman and hunter.